Teams are the life-blood of organizations. A leader who understands how to guide and facilitate team interaction and productivity will be successful in achieving goals and respected by the organization. 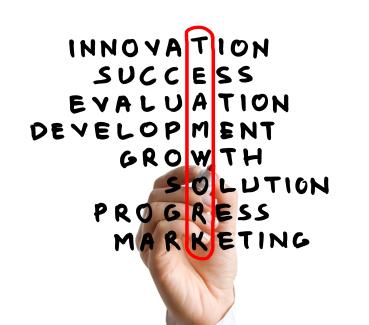 When new teams make progress quickly and begin to operate more smoothly, everyone benefits. The Piras Group experts help your teams make phenomenal leaps forward, becoming fully productive in a matter of weeks. We help the team leader better understand his/her role. We help team members collaborate and form enduring partnerships, and we work with the sponsor and the team to reach agreement on deliverables and timeframes. This enables the team to chart a course based on a solid understanding of their purpose, goals and individual strengths. When changes in the organization’s structure produce a loss of focus and energy, the team’s productivity slips. In order to regain a sense of purpose and direction, teams need to recommit to the new structure and re-chart their course. We work with teams and their sponsors to reset direction, clarify goals, determine priorities, clarify roles and responsibilities, and establish new metrics for success. Objectives often include communicating with customers, managing deliverables, and continuity of product development efforts. Teams can get bogged down for many reasons. Unclear direction, ineffective leadership, poor meeting management, a lack of decision-making skills, internal conflict, and poor time management are common and can happen to any kind of team. The Piras Group experts help get the team “unstuck.” Through diagnosis, discussion, guidance and demonstration, teams learn new ways to plan and conduct their activities and reduce the friction that slows progress. Camaraderie builds trust, an essential ingredient for effective teamwork. No matter how clear your team’s mission, without team members who know and trust one another, the path can be very rocky. The Piras Group consultants are experts at facilitating team activities and experiences that promote the kind of camaraderie and trust that lasts well beyond the activity itself. All teams are unique, so we design every experience to a team’s current need. Style assessments, group process training, role and responsibility discussions, outdoor activities, and interactive games are just a few of the services we offer. The Piras Group offers a variety of workshops for team building and team facilitation. These workshops and training programs range from 2 hours to 3 days. Some of the best-loved team building activities we facilitate involve assessment that help team members better understand and appreciate each other. The Myers Briggs and DiSC Personal Profile are two favorites. Also available are the Team Dimensions Profile, (designed especially for better understanding teamwork process), and the EQ (a measure of Emotional Intelligence). In today’s global environments, team members live all over the world resulting in time zone and cultural differences, reporting relationships and working agreements. The Piras Group helps teams to increase their productivity and collaboration by setting new operating agreements, forums for communication, proper etiquette, and ways to best work in a virtual environment. Understanding and appreciating cultural differences increases dialogue to reach important decisions. We invite you to call or email us to learn more about bulding your teams.